Presumably after reading The A.V. 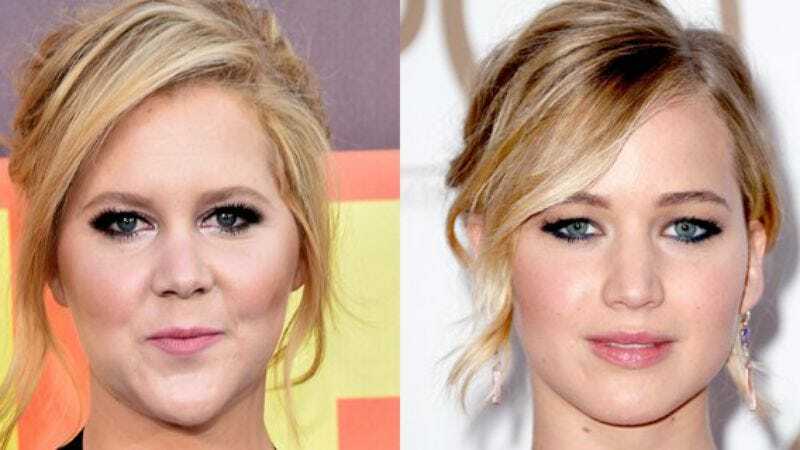 Club’s pitch for Lonely Child, a hypothetical road-trip comedy where they drive from Boston to South Florida for their grandmother’s funeral, The New York Times reports that current “it” girls and convincing onscreen siblings Amy Schumer and Jennifer Lawrence are writing a screenplay together. Lawrence shared this development in an interview that was supposed to be about The Hunger Games: Mockingjay – Part 2, but changed course because what is this, 2013? “We’re almost done writing. It just flowed out of us. We’ve got about 100 pages right now,” Lawrence said, gushing about her new friend: “Amy and I were creatively made for each other. We have different flavors. It’s been the most fun experience of my life. We start the day off on the phone, laughing. And then we send each other pages. And we crack up.” As for what this movie is actually about—besides friendship—Lawrence says that the two will play sisters, but won’t reveal any other details. So we’ll just have to wait.